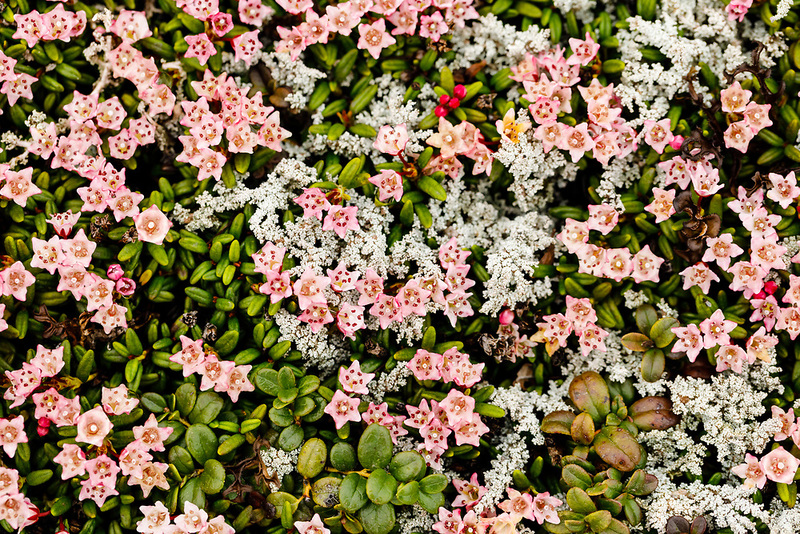 Alpine Azalea (Loiseleuria procumbens) growing among lichen in Kigluaik Mountains north of Nome in Northwest Alaska. Spring. Afternoon.